/ Windows / How Do Casement and Double-Hung Windows Compare? Casement and double-hung windows are two of the most popular window styles in the U.S. They have been used for centuries, and they continue to remain excellent options both in terms of functionality and aesthetics to this day. There are important considerations to think about when choosing between a casement and double hung window. Today, Renewal by Andersen® of San Antonio talks about how each one fare in key areas. Both casement and double-hung windows provide excellent ventilation. Casement windows are unique among operable window styles because they swing open on a hinge like doors. Their sole sash moves outward, making it possible to control the breeze by the adjusting the angle. The entire opening of a casement unit can be used to admit fresh outdoor air into the home and vent stale indoor air outside. Double hung windows, on the other hand, excel at stack ventilation. When both sashes are partially open, cool outdoor air enters your home through the bottom and hot indoor air is expelled through the top. The amount of natural light a window provides depends on the size of the glass area. Double-hung windows are usually grouped together, allowing them to admit plenty of sun. Casement windows can even catch more sunshine because their glass area is typically unbroken by grilles. Casement and double-hung windows can frame wonderful views when facing the right side of the house. When installed in upstairs rooms, the panoramas can be breathtaking. Always consider your home’s style when planning your window replacement to attain architectural authenticity. For example, casement windows look at home in Prairie houses, while double-hung units are characteristic of Cape Cod properties. 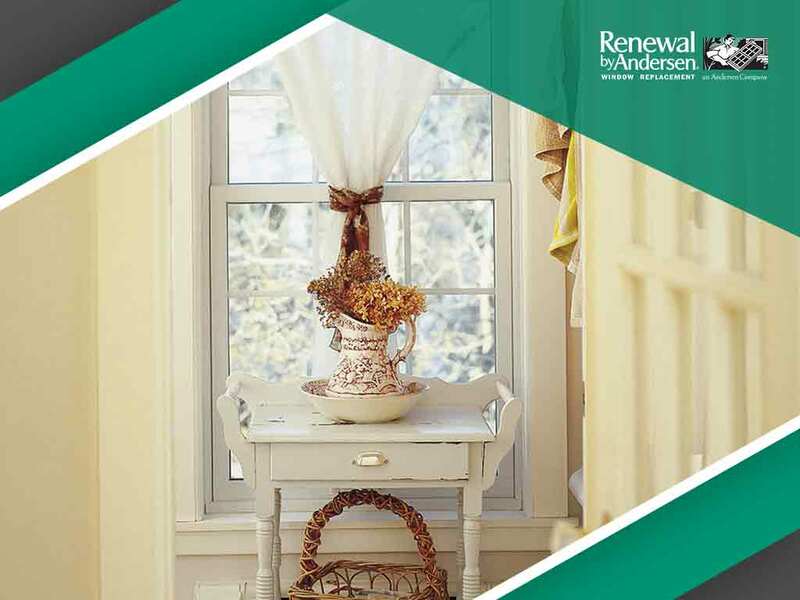 Renewal by Andersen of San Antonio knows how to use casement and double-hung windows to great effect. We offer virtually limitless customization options, giving you immense flexibility when it comes to designing the perfect window for your home’s style. Call us at (210) 888-9680 today or fill out our online contact form to get a FREE estimate. We serve San Antonio, Schertz, Bulverde, and other nearby Texas communities.